Among the most famous and sought after destinations in the world, Naples offers breathtaking beauty and a relaxed tropical lifestyle. Marbella Lakes is in the center of it all. Sun drenched beaches, shopping, restaurants, boating, 5th ave, cultural venues and sophisticated active night life are all within minutes of our outside gate. Marbella Lakes is one of the newest communities in Naples, and includes 490 single family and coach homes built around pristine lakes and lush landscaping. When it comes to amenities, Marbella Lakes homeowners enjoy an incredible 8000 sq ft lifestyle center and recreation area. Residents can spend their free time enjoying the community’s indoor sports complex, fitness center, billiards/gaming room and social hall. Marbella Lakes’ lifestyle center also includes outdoor facilities like tennis, a resort-style pool and spa, an over-sized sundeck and basketball court. All of this complemented with an abundance of social activities and events that will entertain even the most active families, couples and singles, organized throughout the year by our full time Social Director. 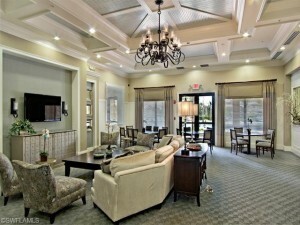 Marbella Lakes homeowners truly enjoy the idyllic Florida experience!